The Rebel Sweetheart. 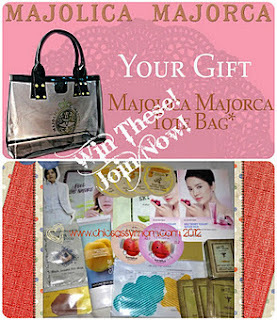 : Join | Majolica Majorca and Korean Cosmetics Giveaway! Join | Majolica Majorca and Korean Cosmetics Giveaway! Majolica Majorca Clear Tote + Assorted Korean beauty products. There'll be two winners for this giveaway - one gets the bag while another gets the loot. This event will run until February 5, so that's just fourteen days away! Join now!